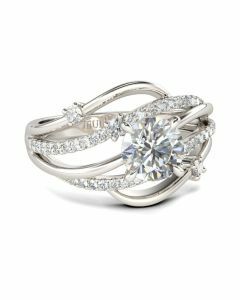 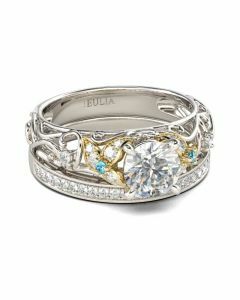 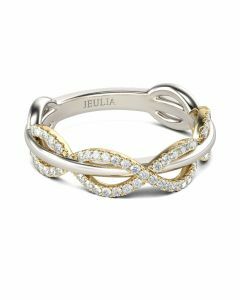 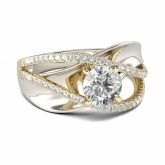 Elegant and modern, this crossover design showcases intertwining strands that represent two lives - and two distinct stories - as they blend together and become one. 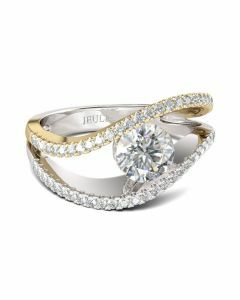 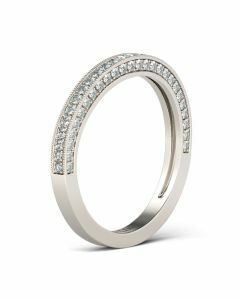 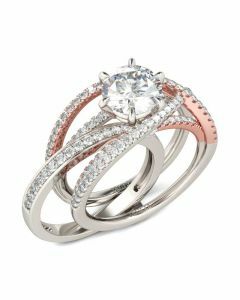 A sparkling round cut center stone are set into the polished shank, creating the ring's charming look. 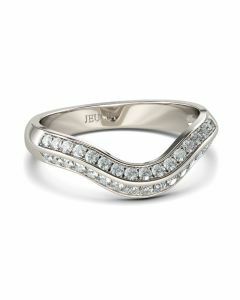 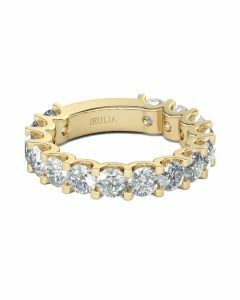 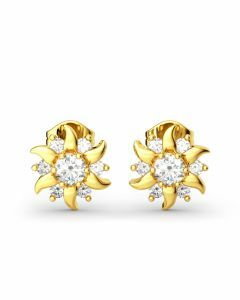 Jewelry makes a great gift - surprise her with this ring any time of the year.